At the coxing of her sister Lilian set down at her vanity and began dressing for the day. 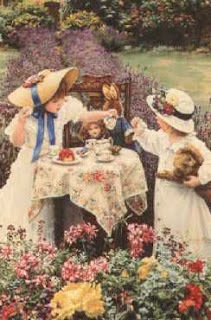 Not much time passed when Aunt Violet entered her room carrying the most beautiful bonnet for Lillian to wear to tea! As she shaped her her curls around her face Aunt Violet hummed the sweetest hymn as she worked …. When she was all through she turned Lillian around to see her and she beamed with joy when she told her how beautiful she was! Lillian, God created a masterpiece when He created you child… Not just on the outside but on the inside as well! Lillian girl not many have such qualities as you…. Embrace who He created and let him guide today child, and nothing can go wrong! Well then I must hurry and get Ellie dressed before our company arrives! You know how Momma feels about us being late when guest arrive! I sure do replied Aunt Violet. Now where is that sweet friend of yours? Heaven knows those blonde bouncing curls of hers are gonna need to be tamed! Lillian giggled she still waiting for me in the bed ! I'll fetch her so I can slip her new dress Momma made her on! Then you can tame her curls Aunt Violet … You do a much better job than me! With that Lillian went on to prepare her doll for the adventure ahead hoping Ellie would also gain a new best friend today as well! Lillian just had made it out on the veranda just in time, before the special guest arrived. Momma looked so beautiful as always stood by the door with a warm smile waiting to greet her guest. The dust had finally settled enough from the horse and buggy, enough she could see the two figures that climbed down from the buggy! Lillian first seen Sarah she was a tall slender woman with soft red hair, with a sweet smile. Lillian watched closely as she helped her daughter from the buggy. Lillian seen a child much like her only she had long blonde hair, and she was delighted to see clutched in her arms was her own dear doll. Lillian couldn't see her face for her bonnet was covering it…. 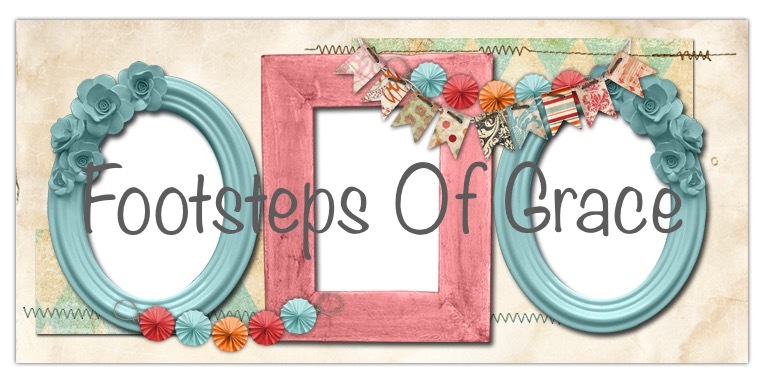 Lillian whispered a quick prayer to her Heavenly Father, asking Him to let Natalie like her….. Within a few short moment Sarah and Natalie were greeted by Marie with a warm smile! Lilian was delighted when both Sarah and Natalie were introduced to her they had a genuine warm smile on their faces. For the first time in a long while Lillian thought things just might be okay…..
Momma asked the guest to join them around the table for afternoon tea! Aunt Violet and Momma went to great lengths to make sure everything was divine. Aunt Violet choose the white lace tablecloth, the pink napkins, the table was set with Mommas, Grandmothers rose tea set, the table was filled with the most delicious tea goodies, tea sandwiches,small cakes ,and scones with strawberry jam. The most beautiful flowers were in the center of the table. The guest were delighted at how beautiful everything looked. Sarah even told Momma that she felt like royalty sitting around such a wonderful bounty. Momma and Sarah had met at church on Sunday. Lillian had missed because she had been suffering from a terrible cold earlier in the week and was just starting to recover. Momma and Sarah chatted like old friends. When they both realized Lillian and Natalie both were setting in silence. Both ladies chuckled and asked the girls for their forgiveness and properly introduced the two girls who were anticipating the one question they both had. Will she like me ? Lillian looked at Natalie with great expectation ! Natalie’s long blond hair was braided into two beautiful braids completed with lovely yellow ribbons. Her short bangs wisped over her forehead. Her blue eyes danced with curiosity. She had the most beautiful white eyelet dress on trimmed in soft yellow to match her her ribbons her bonnet plopped on her head as a crown. However Lillian couldn’t take her eyes off the delicate friend she was clutching onto so ever tightly. Just as the sweet friend she enclosed in her arms Lilian could not help but notice the dark circles around her guest eyes as well. What Lillian didn’t realize Natalie was taking all of Lillian’s details in as well! Hoping this new girl who stood before her would want to be friends with someone like her. Marie broke the silence between the girls making introductions to both, then offering the girls the seats beside each other. Marie went on to tell the girls after tea they could take a little adventure if they like to get to know one another better as long as they stayed close. Lillian noticed her Mom’s eyes danced with excitement in hopes this would be a new start for her daughter. Washing away all that happened to scar her sweet heart. Lillian took the seat next to her guest and introduced Ellie. She was pleased to be introduced to Natalie’s friend, her beloved doll Hope. The girls quickly took pace after their Moms and Amelia. Having a conversation all of their own. It was in the midst of giggles, Marie asked the girls to bow their heads in prayer for the blessing over their tea. Marie offered the most beautiful prayer of thanks for the food and new friendship. The room was filled with soft clinks of forks and spoons clanking against the china. When Lillian felt she had enjoyed every little tea treat her tummy could hold she asked the Marie if her and Natalie could be excused. Marie smiled so warmly at the girls, responded yes reminding the girls to stay close. Both Marie and Sarah whispered a prayer to their heavenly Father that He would open hearts and blossom new friendship between the sweet girls.